Fifth grader Rose Howard is obsessed with homophones, rules and prime numbers. She lives alone with her father, who spends most of his time working at the local garage or hanging out at The Luck of the Irish bar. One rainy night he comes home with a dog for Rose. He never brings Rose anything, so she is thrilled. 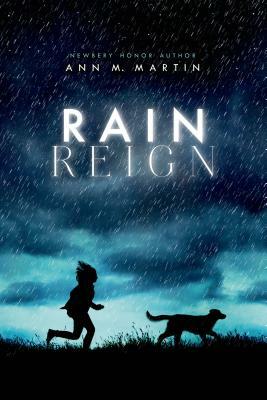 She names the dog Rain (Rein, Reign– a special homonym trio!) and he becomes Rose’s companion and best friend. When a really bad hurricane hits their small town, Rain goes missing. Now, Rose must find her dog, even if it means leaving her routines and safe places. During her search for Rain, one that lasts for weeks, Rose discovers an uncomfortable truth– Rain’s original owners are also looking for him.